haskino; (wiki) a Haskell development environment for programming the Arduino microcontroller boards; see also the announcement in the Haskell Communities and Activities Report. The hArduino package; this allows you to remote control an Arduino board. See the announcement. 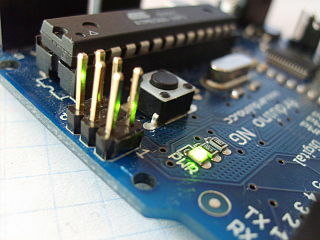 The frp-arduino package; Arduino programming without the hassle of C.
This page was last modified on 25 November 2015, at 11:28.